nine eleven – is this houston? Words I haven’t heard in a long time. This monument resides on Shepherd near Feagan St near St. Thomas High School. Love this photo and post. Thanks for the remembrance. You have a really great blog. Thanks. Pingback: Southwest Flys by Twin Towers « is this houston? Pingback: 9/11 « is this houston? 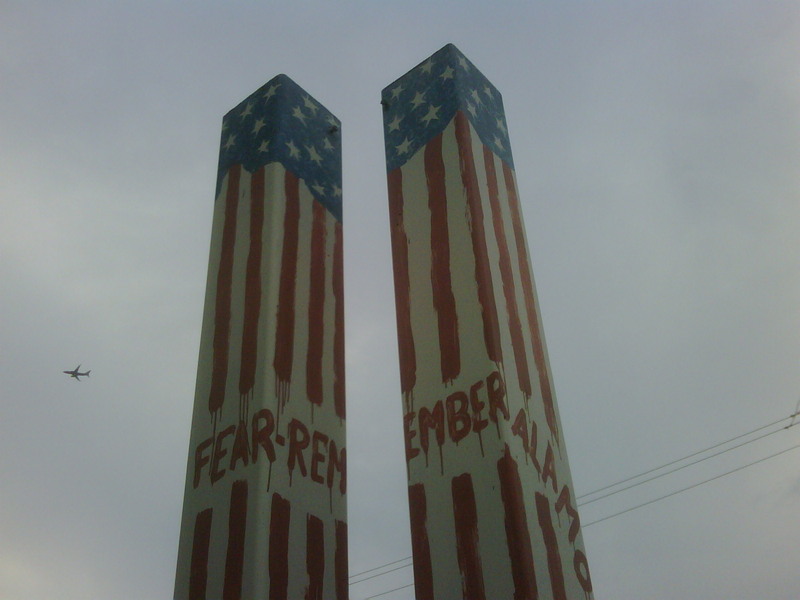 Pingback: FREEDOM KNOWS NO FEAR-REMEMBER ALAMO – is this houston?